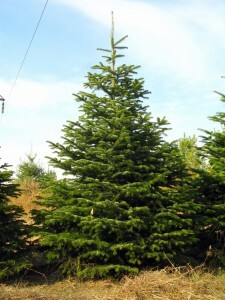 In almost every respect, Nordmann Firs are alike to Fraser Firs. 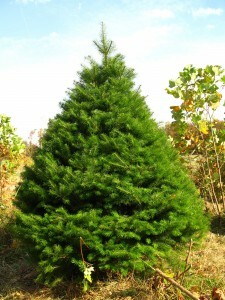 Happily, however, Nordmann Firs can be grown in Kentucky, albeit with some difficulty. As with Frasers, Nordmanns grow into a naturally good Christmas tree pyramid with only a minimum of pruning. A rather fetching deep green color shows on the top of the needles, and some white is to be seen beneath, though the contrast in not as sharp as in Frasers. Like Frasers, the branches of a Nordmann will support most small wrecking balls (e.g. heavy ornaments and lights are fine). The fragrance of Nordmanns is strong, but less intense than Frasers, which could be a good thing for those with allergies. Foliage can be anywhere from medium to dense (see photos). 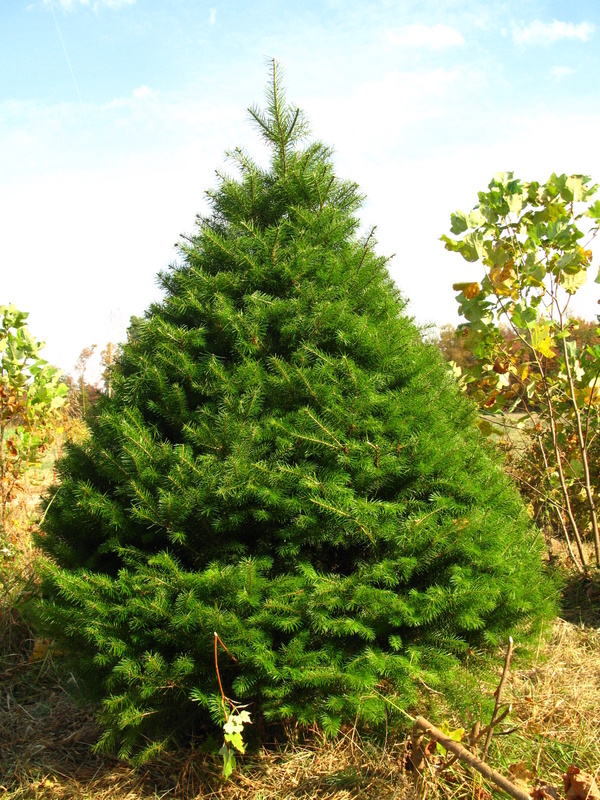 We believe we are currently the only Christmas tree farm in Kentucky with full-grown Nordmann Firs. The species originates from a region including the countries Georgia, Abkhazia, and northern Turkey. 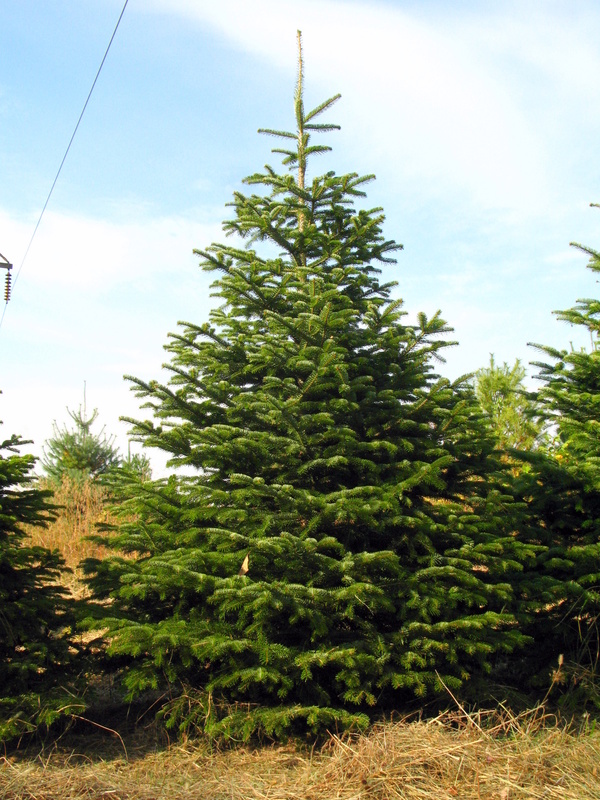 Of all retail Christmas trees sold in the U.S.A., this species has perhaps a wild range the closest to Nazareth and Jerusalem. There is a pleasing aspect to the idea of bringing home a tree whose forebears took root not so far from those antique soils that once felt the footsteps of Christ.